Over a week ago, Jessica http://jazziejewel.spaces.live.com/default.aspx?owner=1asked the questions, “What is love? How deep is love? What is true friendship?” Well, I’m not much of a philosopher, and I couldn’t come up with a great answer for her, but it did get me thinking about such things. And my thinking usually leads me to my family stories. This time, my thoughts are on my Grandpa, George Haroldsen. I don’t know why questions of Love would lead me to thoughts of George. He couldn’t be described as a “Don Juan” by any stretch of the imagination. In fact most of the love stories that I have heard about him center on his blunders. Oh… it makes sense now. I can relate!!! George was a hard working, no nonsense sort of guy. Back in 1905, when my family moved from Hyrum, Utah to Idaho Falls, Idaho, 19 year old George was working up in Montana. In fact his earnings provided the earnest money for the new family farm. A few months later when the neighbor girl, Kate Smith, came over to invite the new neighbor kids to her 16th birthday party, George wasn’t around to meet her. Later, when he got back into town, he asked his younger siblings lots of questions about the birthday girl. Over the next few years, they “both did a lot of looking at each other” as George put it, but like I said, George was very slow and calculated in his love live. Nevertheless, Kate made sure she was frequently within his gaze, like when George was leaving on a train to accompany a shipment of cattle to Portland, Oregon, Kate was there to “wish him a good trip.” So eventually, George and Kate started to see each other a little bit. Kate thought they were getting serious, but then George made a big blunder. He had just bought a beautiful new buggy. So here is a 23 year old eligible bachelor sporting around his new ride, and there was a dance coming up on Saturday night. The town flirt decided that she wanted to go to the dance in style, and before George knew what happened, he had agreed to help her out by giving her a ride to the dance. They were married June 9, 1909 in Kate’s family home and the next day, they were on the train to Salt Lake City, for their honeymoon. It was on this honeymoon trip in Salt Lake, that another George Haroldsen “blunder” happen. One of George’s female cousins, who lived in Salt Lake City, showed them around the city. One stop was at the Photographer. George didn’t know until it was too late that Kate wouldn’t want his cousin to stand in the picture with them for their wedding photo. I have that picture of the three of them. It was their only wedding photograph. Dumb guy… certainly not the Don Juan type with all the slick moves and right lines. But no woman experienced more loyalty or devotion than Kate did in her married life. George was a slow learner when it came to properly showing his love, but no one beat him in staying in love with his life’s partner. Unlike the new buggy story and the wedding picture story, no one and nothing got between George and his love for Kate. By his own definition, his life was not a flop. I was 8 years old when after 59 years of marriage, Kate died within a week of discovering cancer. It was on leap year day, February 29th, 1968. George was devastated. But he tried to carry on. Along with continuing to do his farming (he was now 82 years old), in honor of Kate, he tried to keep everything in the home the way she had always done things. When I came to visit, I remember he still had cookies in the cookie jar (they weren’t the good ones Grandma had, but…) And like Kate had done before, the toys for us, the younger grandkids, were cleverly hid around the house so I could go searching for the “cool” toy truck, and my sisters would find the doll. One of my aunts reported that he did pretty well (with his daughter’s help) learning how to cook certain meals just the way Kate had done it, but she did catch him watering Kate’s plastic house plants. I love this music on my space of Neil Diamond singing Morningside. It’s a story of an old man’s forgotten legacy using the metaphor of a strong table built with pride, gone unclaimed by his children. It could be the theam music of my space. I guess for a few days, it will be. It’s been a while since I have been to a dance. I’d like to blame that mostly on fact that I live in the middle of a desert waste land and there’s little opportunity. But my lack of attendance at a dance also has something to do with my lack of dancing ability (See my list titled “I wish I could”). However, this past Saturday night, I found myself at a community dance. We went as a family to this town of about 300 – 400 people called Oak City. The outdoor dance, with a live band (Lawrence Welk style) was the culmination of “Oak City Days”, their annual celebration. After we arrived, and before I knew it, I found myself out in the middle of a hundred other people with my cute daughter, Clarissa. We were facing another couple in our “Square” of four couples preparing to do the Quadrille. So as I stood out there under the stars, without a clue of what I was doing, I thought of my 2 Greats Grandpa, John Smith (Jock). On a full moonlit night back in the summer of 1852, he too stumbled into a square dance, the Cotillion, as the pioneer company he was traveling with showed this Scotsman how to dance American style. In spite of the fact that I was as clumsily as ever, Clarissa showed me a good time as we stumbled through to the end of the dance. I was so intent on trying to follow the voice of the “caller” that it wasn’t until the dance was over that I thought of the occasional school and church dances I had attended as a teenager. Back then my awkward dancing combined with my paralyzing shyness made me a big klutz with the young ladies. Quickly, I shut out the memory of those poor girls dashing for the bathroom when they saw I finally had gotten up my nerve to ask for a dance. I wonder how Jock fared out on the dance floor? Maybe that’s where I inherited my two left feet. I watched my younger children as they struggled to “enjoy” themselves at the dance. Besides the intimidating crowds, the Big Band era music wasn’t what they had expected. Mommy (my Beautiful Wife) encouraged our young children to be brave and to go ask someone to dance. I watched as Cory searched the crowds for the right one to ask. First he had a false start. The song was almost over when he was ready to make his move. Then it happened. Cory was off winding through the towering crowd of mostly adults, like a cat closing in its prey. I have never seen a little girl’s face suddenly turn happier. Those two owned the dance floor for the rest of the night. I couldn’t be more pleased. If it is hereditary, Cory gets his dancing and ladies skills from his mother. But I’d like to take credit for something, so maybe he gets his good luck from me. This morning we took two of our daughters to the high school for their first day of classes for the year. Actually for one of my daughters, this is her first day of public school ever. (But that is another story for another time.) As I watched my two “High School” daughters, get up extra early on their own, I could see the anticipation in their eyes of what they might expect on the first school day of the year. Now, I know that I am a guy, but I’m not that stupid. (I do have other daughters who have been through this as well.) They are certainly more interested in the social aspect of a new year than they are in the academics. But I have studied the history of education and schooling as it pertains to our family, and I don’t take the opportunities for a good education, which my children have, for granted like they do. My 2 Greats Grandpa, John Smith, or Jock as he was called, had no education. In the Scottish coal mining community of the 1820’s where he grew up, family survival necessitated another strong back to carry the coal out of the pits. So Jock was cheated out of the few meager years of schooling that was offered to the Scottish children. Throughout his life, Jock was reminded what a disadvantage he was in because he couldn’t read or write. Once, after working for years to satisfy the requirements of the Homestead Act, Jock missed the posted filing date, and his neighbor jumped his claim, leaving Jock with only a notice of eviction from his own farm. Jock made sure the schooling for his children in the 1850’s and 60’s was better than he had… a little better any way. But public schools didn’t exist in the Utah territory of the mid 1800’s. So only those who could afford too, sent their children to school. Jock could afford to send only one of his children. Robert, Jock’s oldest son attended. When he couldn’t make it for some reason, his next younger brother, James would take his place for the day. My Great Grandpa, Adam was 3rd in line. So it took him a few years of substituting for his older brothers before he learned to read and write. But Adam learned to write very well. His handwriting was beautiful. It puts mine, and most handwriting I have seen now days to shame. The story is the same with many of my other ancestors. 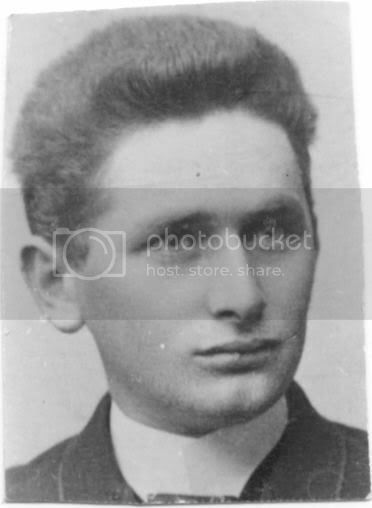 My 2 Greats Grandpa, Johann Tillack had immigrated from Prussia to Australia. He donated the land and petitioned his Lutheran Church to get the first school started where he lived outside of Melbourne in 1873. That school still exists and thrives today, and is called the Bayswater Elementary School. So with the new school year starting, school stories from my family are on my mind. Parents raiding the cellar for vegetables to send with their children as their part of the teacher’s salary… a Baptist church from the South setting up free schools in the poor Utah communities as a way to proselyte among the Mormons… school teachers boarding with the families of his students as part of his salary. My dad said that changing from 4th to 5th grade was a big deal. He said that instead of just moving over a row in the same class room, you got to change rooms to the older class in the school. Grades 1 through 4 in one room, and 5through 8 in the other room. So I will watch my two “High School” daughters boarding the school bus each morning, while thinking of my Grandpa, George Haroldsen, hitching up the sled and going around the rural neighborhood on the cold Idaho winter school days to give them a ride to school. While listening to my children complain about how hard their school work is, or of how much homework they have, or of the many other problems caused by the school or teacher, I will be thinking of my parents, and their parents, and theirs… on back as far as I have information. They wanted their children to get a better education than they had…(and we got it), to have better opportunities (and we got that too.) That’s the same thing I want… for my children to learn more… to get more education… to be able to have more opportunities than I have. Yes… the start of a school year is exciting to me as well as to my children. It’s not only a time to look forward to new beginnings and new opportunities. It’s also a time to look back, with thankfulness, for the opportunities that I now have… a fulfillment of someone else’s dreams… my parents… and their parents… and theirs. They had a slim chance of even meeting. They lived in different countries, never shared the same religious beliefs. They pursued entirely contrasting occupations. To one, came fame and notoriety, as he interacted with the masses throughout the world. To the other, life was lived in the quiet humble setting of farming communities, where his dealings focused on individuals instead of large groups of people. And yet, in their happenstance meeting, something clicked and they became lifelong friends. I have long been intrigued by this peculiar friendship that my Great Grandpa, Charles had with Robert Prometheus. 1890 was a time of change for both of them. Traveling with his family, 20 year old Charles had left his home in Australia to immigrate to the United States. The ship stopped in New Zealand to take on more passengers before beginning the long voyage across the Pacific Ocean. This is where the two young men with dissimilar backgrounds met. Robert was originally from England. But he was raised in New Zealand where he began his professional boxing career. His dream was taking him to San Francisco, where new opportunities beckoned. The two were instant friends and spent the many hours and days of the long voyage together learning about each others world. Charles acquired a new hobby as Robert taught him boxing techniques. As the hours and days on board the ship stretched into weeks and months, Robert and Charles did other things besides sparing in a makeshift boxing ring. One thing they learn was that they were both handy with the scissors. Not only did they cut each others hair (even back then a young man had to look just right for the young ladies), but soon the two unlikely friends were busy with many other “customers” from the rest of the passengers who liked the job they did. Their direct contact with each other ending in San Francisco a little over 3 months after it began. Robert pursued his boxing career. Now know as Bob Fitzsimmons, he won three world titles: middleweight (1891-97), heavyweight (1897-99), and light heavyweight (1903-05). Charles continued on with his family to Utah. Within 9 years, he had started his own family and had now made the Northwest Territories of Canada his home. But in spite the distance and differences, these two remained lifelong friends. I live in the communication age. With cell phones, computers, and jet planes (none of which they had access to), I have never maintained a friendship like that. Charles had a large family (just like I do), and his career as a farmer and merchant took its bumps and “forced unwanted family moves” (just like mine has), but my Great Grandpa, Charles, knew something about developing and maintaining long term friendships that I haven’t yet learned. As I see the new “Friends” module in spaces, and as I watch the spaces that I occasionally visit displaying their friends, I wonder about the friendships I have had in my life. Like all introverts, it’s the fear of rejection that stops me from “clicking” an invite on to my “friends list” (both in person as well as online). If I were to talk to my Great Grandpa, Charles, about this subject, I think he would probably open his Bible and have me read Proverbs 18:24 “A man that hath friends must shew himself friendly: and there is a friend that sticketh closer than a brother.” I don’t think wise King Solomon realized how hard it is for an introvert to “shew himself friendly”. It’s a funny thing to me. Nothing is so personal and yet so public at the same time. It’s among my earliest memories of pondering a subject. Where did it come from? How did I get it? Who else has it? This subject has continued to be intriguing to me throughout my life. So this is how my family name evolved. Back in Norway, or “The Old Country” as my Great grandpa (Christian) would say, the father’s first name became the last name of his children. So my 4 Greats Grandpa Christoffer’s name was added to my 3 Greats Grandpa Harald’s name. So he was known as Harald Christoffersen. Of course the sen meant Harald was Christoffer’s son. Well this naming practice changed in the mid 1800’s. Harald’s children used the last name of Haraldsen. So Harald’s son, Christoffer (named after his grandfather mentioned above) became Christoffer Haraldsen. But his children including Christian were the first generation to continue using the same last name. Similar naming practices were followed in other countries, like Ireland where the Mc in Mcfadden meant the son of Fadden. So then as a 12 year old boy, Christian immigrated with his widowed mother and surviving sisters to America in 1876 through Ellis Island. While being processed to enter the country, an immigration official “Angloized” the family name into the more English sounding Haroldsen. As I think about it, the one family heirloom my family could bring from the Old Country, their name, was in essence “vandalized” or at least thoughtlessly dinged with the careless mark of that immigration official. But now of course it is carefully protected (with the immigration official’s mark and all) from the miss use from careless spellers, and bad spellers (like me). Yes, I even know of some Haroldsen’s who are offended when they see their name misspelled. Little to they know that technically, they themselves misspell it compared to the original spelling. Not long after this Norwegian family arrived, Christoffer’s mother married another Scandinavian named Lars Villiamson. Lars hadn’t had a son of his own, and so when he married Christoffer’s mother, he offered to teach him to farm and give him a farm as an inheritance if he would take his name and be known as Christoffer Villiamson. Christoffer agreed to this and learned and earned a farm from his stepfather. But he always regretted forsaking his own father’s name, saying he had sold his birthright for a mess of pottage. Nine years later, while applying for a marriage license, the clerk told him that his name hadn’t ever been legally changed from Haroldsen. So at that time he assumed the Haroldsen name once again. If this seems confusing, be thankful you didn’t live in one of these Utah communities back in the late 1800’s. The Scandinavians tended to gather into the same settlements and of course attend the same churches. Counties like Sanpete and Cache County were full of men with the same name. The story goes that in church, the bishop (like a pastor) would call on Brother Jensen to come to the front to give the closing prayer. 50 men would begin to stand. Seeing his mistake, the bishop would clarify, “Would Brother Lars Jensen please come and give the closing prayer.” Then there would still be 10 or 12 men standing looking at each other wondering “which” Lars Jensen. So then the bishop would resort to the less formal nickname and just ask, “Saddlebags” to come pray. Of course there is a story behind every nickname as well. But they really did have to use nicknames just so they knew who they were talking about. With an understanding of my own last name, I have wondered at many of my other family names. I have tried just as hard to learn about my Tillack family name from Prussia. But to no avail. I know some names evolved from occupations and some from farms or villages of residence. But I haven’t found a good source of information in learning about name origins. I wish there was some expert who has written a book on the subject. But if so, I haven’t found it. As hard as this is to try to sort out now, I pity the poor sole who takes it upon himself in a hundred years from now to sort through all the computer nicknames they find on what will be then “old documents.” If one of my posterity were to find a copy of my space, he/she may spend days trying to discover where “Storyteller” came from. Of course, when I sign up on some other sight and Storyteller is not available, I’ll have to resort to some other nickname or add a lot of numbers to my nickname. Over a lifetime I could well have hundreds of different nicknames I’ve been known by in cyberspace. I’ll try to keep it simple (for posterity sake) and maybe choose something next time that no one else would want. Heck I could make it descriptive to add meaning as well. Something like “Badspeller” is probably available. If not I could just misspell it. Well, last night I happened to be looking through a “word album” in stead of a photo album. Amelia came along and asked what I was working on. My answer and ensuing conversation went something like this. She joined in, and we were soon engrossed comparing proverbs. I was familiar with more than she was. Some of them were new to both of us. Some we liked and they added meaning to our understanding. Some of them were archaic and we just scratched our head at. I didn’t really relate to any of the Norwegian proverbs like, “A wooer should open his ears more than his eyes.” We both looked at each other and shrugged in befuddlement. Through all of this, I was surprised at how many of the proverbs were not only familiar to me, but actually a part of my speech and thinking. As I looked at the Danish proverbs, I thought of my Danish family, the Jensen’s. While looking at the German proverbs, my family the Tillack’s, Von Dietrich’s, Everett’s and Schultze’s’s came to mind. While perusing the Scottish proverbs, my Smith family was in mind. And the many pages of English proverbs caused me to think of my English Families the Tansers, Rubbra’s and Websters. Last night, the time Amelia and I spent reading these things was fun. In fact this morning, it was still on my mind. Like my daughter seeing in an older family photo album pictures of “her clothes” that she has just discovered once belonged to an older sister, I have discovered words and phrases that I thought got new. Now I see many of my favorites which are actually “hand me downs” from parents, grandparents and on back. I am pleased with this one more connection I feel with my family who came before me. Proverbs that like. Some are new to me, some are old.